Dr Stott’s father and uncle are chiropractors, and he grew up with an understanding of natural healthcare, and the profound effect chiropractic care can have on people’s lives. 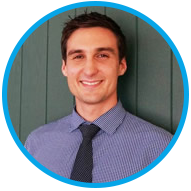 Dr. Stott (B.chiro) is a passionate leader and loves serving the people of Ipswich with their spinal health needs. Dr. Stott has been interviewed about chiropractic care on River 94.9FM, a Brisbane radio station. He is pleased to offer workshops in the office, as well as health talks for corporations and local businesses. Call today to start your journey to true wellness!